We have not communicated with you for several weeks since we alerted you to the fact that Punch Taverns had opened negotiations with another potential purchaser after we were unable to raise sufficient funds through the Sidbury Community Enterprises share offer to purchase the Red Lion, refurbish it and to fund the required start-up costs. The reason for saying nothing since then was that, whilst Punch Taverns has kept us abreast of the progress of the purchase negotiations with the other potential purchaser we were provided information on a strictly confidential basis. However, in light of the report of Tom Barrington’s successful purchase of the Red Lion in today’s Sidmouth Herald we feel that we can now address the issue. Firstly, we offer Tom our congratulations in successfully purchasing the Red Lion and obviously we hope that it will go from strength to strength under his ownership. It is in the village’s interest that it has a popular village pub, which was the main objective of the Campaign. We understand that Tom may not be opening until later in the month. This has therefore brought the activities of Save The Red Lion Campaign and Sidbury Community Enterprises to a conclusion almost 15 months from when it all began at the open meeting in the Red Lion’s skittle alley on 19 May last year. We believe that although the vision that Sidbury Community Enterprises launched for the pub cannot be realised through community share ownership, we are pleased to have managed to secure the use of the premises as a pub for at least 5 years. Many people who live both locally and further afield have, over the past 15 months, supported the Campaign’s activities to retain the Red Lion. We could have found ourselves in a situation where the village pub closed permanently, rather than just as presently for the temporary period between Punch Taverns and Tom Barrington’s ownership. We are sure that Tom will recognise that through our efforts the purchase price was reduced by £100,000. So there is much to celebrate. Our thanks also must go to Hugo Swire and Reverend Susie Williams for being the Campaign Patrons. Much thanks also go to DCC Clr Claire Wright for her personal unwavering support and her financial support from her DCC Locality Budget. We also received good financial support from the Keith Owen Fund. Both of these funding streams allowed the Campaign to thrive and we are very grateful to them. We have received great support and much free publicity from the local press including from BBC Radio Devon, Express & Echo, Western Morning News, Pulmans View from Sidmouth and in particular the Sidmouth Herald. Our thanks go to all of them. We received a significant grant from a government funded agency which allowed us to buy in assistance from expert advisers and we now need to reconcile what we have spent from the grant and to return the balance. We now need to withdraw our funding application for over £100,000 for a capital grant that would have made up the shortfall from the share offer. Without the invaluable initial support of the Plunkett Foundation from the very start we would not have been able to construct a meaningful business plan which formed the basis of our share offer. In the end the share offer raised £102,250 from 157 investors. This was raised over a period of just over 5 weeks! We think that was a great achievement and showed that the vision for a future Red Lion had significant support. Unfortunately, this wasn’t enough to allow Sidbury Community Enterprises to complete the purchase of the Red Lion. We were clear that £200,000 was the minimum that we needed to raise in order to deliver the vision and the basic refurbishment required. Our thanks too must go to all of those who have served on the Steering Group, past and present. Between them they invested a great deal of time, energy and commitment to delivering the vision. Our job, along with them now is to settle outstanding bills associated with the 15 month campaign and to return all of the uncashed cheques to our investors. This we will do over the forthcoming weeks. Their faith in the project was incredible. Finally, a big thank you to everyone who has in any way, big or small, contributed to or supported the project to retain the Red Lion as Sidbury’s village pub. And once again we wish Tom Barrington good luck and every success. We have been formally advised that Punch Taverns has now accepted an alternative offer to that made and agreed with Sidbury Community Enterprises for the Red Lion. This alternative offer we have been told is at a price that is “no lower” than that agreed with Sidbury Community Enterprises. We make this point because we understand that it has been said, erroneously, locally that the agreed price now accepted was lower than that which was agreed with Sidbury Community Enterprises. This is incorrect. We are also advised that the only reason why Punch Taverns has now accepted this alternative offer is because Sidbury Community Enterprises was unable, at this stage, to fully fund the purchase of the Red Lion. We are sure that you will share the disappointment of the Management Committee in this turn of events. It is however perhaps not surprising that Punch Taverns, which has been trying to sell the pub for some 14 months now, has responded to an alternative potential purchaser in this manner. It was perhaps too big an ask to expect Punch Taverns to work with us for a few more months whilst we continued to seek to raise the outstanding balance required to fulfil our business intentions. I am told that Punch Taverns has set the alternative potential purchaser a relatively short completion timescale of 4 to 6 weeks, which would mean that by, approximately the end of July we will know whether we still have the opportunity to purchase the pub. The Management Committee intend to continue to seek the capital grant and additional investment from potential shareholders that we previously said we would pursue. We appreciate the positive responses received from many investors and Campaign supporters to our proposal to apply for this grant. It is our view that we should continue in this way in case the alternative potential purchaser fails to complete on the sale. We remain committed to Sidbury Community Enterprises’ vision for the pub as a community owned village pub. Obviously, the Management Committee will keep the situation under review. If the pub is purchased by the alternative potential purchaser then the Management Committee accept that will bring our bid to purchase the Red Lion to a disappointing conclusion. 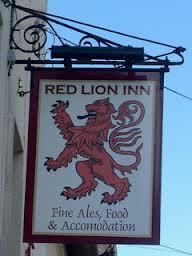 We will keep you updated as information about the purchase of the Red Lion as matters progress. Sidbury Community Enterprises’ share offer has concluded after running for 5 ½ weeks. During this time it distributed share prospectuses across the whole of Sidbury. It also held two public open days in Sidbury village hall where it displayed the refurbishment plans that it had worked up for a future Red Lion business and were able to discuss the detail of the share offer with those who attended. In total around 150 people attended the Open Days and provided great positive feedback on the plans. Sidbury Community Enterprises’ Chair, Fred Burnett, said “It has been most heartening to have received investments from more than 150 investors who have provided in excess of £100,000. We are incredibly proud to have raised so much money from such a large number of investors in a relatively short period of time. This, we believe, demonstrates that our vision for retaining the Red Lion has significant support. We always knew that our target to raise £200,000 through the share offer was challenging to say the least”. Sidbury Community Enterprises business plan and the premise for the share offer required it to raise at least £200,000. As it did not manage to fully raise this amount through the share offer the Management Committee this weekend met to consider how to respond. The Management Committee reaffirmed that it would only proceed to purchase the Red Lion on the basis of the proposals as set out in its vision statement and in the share offer prospectus. This means that it needs to raise around £133,000 from a mortgage and around £200,000 through shares, short term low loan(s) and donations. In its opinion it do not believe that a viable business could be created from significantly less a total investment. For this reason it is, at this stage, unable to immediately move to purchase the Red Lion. It is however proposing applying for a non-refundable capital grant from Social Investment Business, which is a government funded organisation that supports social enterprises such as Sidbury Community Enterprises. This grant has only become available since it launched its share offer. It proposes applying for a grant of at least £100,000, which is the least that can be applied for, in order to make up the shortfall in the funds that it raised through the share offer. If it is successful in obtaining this grant it would not be paid out until mid September. This would however allow it the opportunity to continue to seek additional investors who could purchase shares or provide it with donations. None of this alters its business plan or vision for a future Red Lion business. It does however mean that the timetable for Sidbury Community Enterprises to purchase the Red Lion would slip until September. The Management Committee also reaffirmed that should it fail to raise a total of around £200,000 from shares, donations and the grant then it would at that point determine that its attempts to purchase the Red Lion had failed. It is not prepared to try to purchase the pub, refurbish it and start trading on a budget that will not deliver a viable business. Sidbury Community Enterprises has written to all those who invested to seek their agreement to this approach. It has determined that it will not cash any investments that have been made either through cheques or on-line until it is clear that it has the full amount of funds required to commence a viable business. It is however confident that its investors will agree with its approach and continue to demonstrate the faith that they have shown in the business plan and proposition to create a community pub in Sidbury, which their investment. Final Week Of Share Offer! We are now in the final week of the share offer. You still have the opportunity to invest in a future Red Lion business! As we move towards the final week of the community share offer a reminder that the share prospectus can be downloaded at -http:/sites.google.co/site/thepubinthevillage/SCELShareProspectus.pdf. The share offer closes on 23 May and so cheques and completed share application forms should be sent in now. This week’s local freebie newspaper Pulmans View from Sidmouth carries a report of the first share offer Open Day held on 28 April in a report on page 4 entitled “Residents respond to pub campaign appeal”. Great interest has been shown in Sidbury Community Enterprises’ community share offer to purchase the Red Lion Inn in Sidbury. It has held two share offer Open Days in the past fortnight where around 150 people came along to Sidbury Village Hall to speak to campaigners about the share offer and their plans for a future Red Lion business. On the second Open Day, held on 3 May, a number of residents brought along completed share offer application forms and presented supporting cheques. The interest in the share offer has clearly increased as a result of what residents have seen and heard at the Open Days. At the Open Days residents were able to view not only the architect, Simon Spence’s latest plans to alter and upgrade the Red Lion, but also to see 3D computer generated drawings of how these proposals would alter the pub. In addition residents, who came not only from the village, but also from Sidford and Sidmouth, were able to see artist’s impressions of how the inside of the pub’s bar and restaurant areas would look like. Prospective investors in the purchase of the Red Lion still have until 23 May to buy shares. is a community benefit limited company formed by the Campaign to purchase the Red Lion as the first community owned pub in East Devon registered as an asset of Community Value under the 2012 Localism Act. Red Lion's owner, Punch Taverns, has agreed to sell the pub to Sidbury Community Enterprises. Campaign's Industrial Provident Society limited company Sidbury Community Enterprises Limited now formed. Campaign supported by Eric Pickles, Secretary of State, Dept of Communities & Local Government. Campaign funded by Social Investment Business on behalf of government. The Red Lion pub has been put up for sale by its owners Punch Taverns. This could lead to the end of the Red Lion, the only pub in Sidbury village. The Red Lion is in the heart of the village. The Red Lion is an asset of the community. The Red Lion needs to be retained. It also needs to be allowed to flourish. This blog site is committed to these objectives & to championing the Save The Red Lion Campaign. Don't just sit at home - join the Campaign to retain the Red Lion. On 19 May 2013 a packed open meeting of over 50 Sidbury village residents met & agreed to launch The Pub In The Village - Save The Red Lion Campaign. We agree to establish a Campaign Group with the objective of ensuring that the Red Lion, Sidbury is retained as a pub for the community. To support this Campaign we agree to create a Steering Group which is charged with fulfilling this objective. We encourage all who share the Campaign's objective to join us. ThePubInTheVillage. Watermark theme. Powered by Blogger.